BC Today is where British Columbians connect on issues facing their lives and their community. Every week day at noon PT and 1pm MT, BC Today host Michelle Eliot delves into the top story for the province in a vibrant, interactive hour of conversation, in which listeners are invited to have their say on the open line and on social media. APRIL 18, 2019 Alcohol on ferries. Easter traditions. Canadian Institute for Substance Use Research's Tim Stockwell and Campaign for Real Ale Society of B.C. 's Alastair Lindsay on alcohol on ferries. Eating Local in the Fraser Valley author Angie Quaale and Baba's Beeswax founder Joan Brander on Easter. Download APRIL 18, 2019 Alcohol on ferries. Easter traditions. APRIL 17, 2019 Electric vehicles. Canadian film. Plug In B.C. electric vehicle adviser Matthew Klippenstein answers questions about electric vehicles, in light of new government incentives and high gas prices. Shifter magazine managing editor Vlad Jean-Gilles helps us celebrate Canadian Film Day. Download APRIL 17, 2019 Electric vehicles. Canadian film. APR. 16, 2019 4/20 with legal pot. Penticton shooting. Alberta election lookahead. Investigative journalist Daniel Wood talks about the future of 4/20. CBC reporter Brady Strachan talks about the fatal shooting in Penticton. Simon Fraser University political science senior lecturer Sanjay Jeram looks ahead to the Alberta election. Download APR. 16, 2019 4/20 with legal pot. Penticton shooting. Alberta election lookahead. APRIL 15, 2019 Wildlife protection and land use. Personal comebacks. Prince George CBC Radio associate producer Andrew Kurjata and UBC Okanagan biology adjunct professor Rob Serrouya talk about balancing wildlife protection and land use. Vancouver registered psychologist Dr. Carla Fry talks about personal comebacks. Download APRIL 15, 2019 Wildlife protection and land use. Personal comebacks. APRIL 12, 2019 Cycling safety. Gardener Brian Minter. British Columbia Cycling Coalition executive director Richard Campbell and GoByBike BC Society president Taylor Bachrach on cycling safety. Minter Country Garden owner Master Gardener Brian Minter answers your questions. Download APRIL 12, 2019 Cycling safety. Gardener Brian Minter. APRIL 11, 2019. Julian Assange arrest. National Volunteer Week. Defense One technology editor Patrick Tucker talks about WikiLeaks founder Julian Assange. Volunteer Victoria executive director Lisa Mort-Putland talks about volunteering. Download APRIL 11, 2019. Julian Assange arrest. National Volunteer Week. APRIL 10, 2019 Black hole photo. Reducing plastics. H.R. MacMillan Space Centre astronomer Kat Kelly talks about the science, astronomy and the black hole photo. Ocean Wise microplastics researcher Rhiannon Moore talks about how to reduce our use of plastic. Download APRIL 10, 2019 Black hole photo. Reducing plastics. APRIL 9, 2019 Addressing homelessness. Ticket scalping. B.C. Liberal Opposition Leader Andrew Wilkinson and B.C. NDP Municipal Affairs and Housing Minister Selina Robinson talk about homelessness. Simon Fraser University Marketing Professor Lindsay Meredith talks about B.C. 's ban on ticket-buying bots. Download APRIL 9, 2019 Addressing homelessness. Ticket scalping. APRIL 8, 2019. Money laundering. Make A Will Week. Attorney General David Eby and financial crime lawyer Christine Duhaime on money laundering. Vancouver notary Akash Sablok on making a will. Download APRIL 8, 2019. Money laundering. Make A Will Week. APRIL 5, 2019 Smoking in condos and apartments. Solo travel. Elaine McCormack, a lawyer who practices strata law in New Westminster, talks about a petition to ban smoking in multi-family buildings. Ali Wunderman, a travel journalist who wrote Frommer's Complete Guide to Belize, talks about travelling alone. Download APRIL 5, 2019 Smoking in condos and apartments. Solo travel. APRIL 4, 2019 Gasoline prices. Running races. UBC Sauder School of Business Associate Professor Werner Antweiler talks about gasoline prices. Jean Francois Esculier, a physiotherapist at Allan McGavin Sports Medicine, talks about how to prepare for a run. Download APRIL 4, 2019 Gasoline prices. Running races. APRIL 3, 2019 Jody Wilson-Raybould and Jane Philpott. Parents oversharing on social media. Simon Fraser University political scientist Stewart Prest talks about what is next for the former federal ministers and the national political landscape. Tech writer Alexandra Samuel talks about parents who share too much about their children online. Download APRIL 3, 2019 Jody Wilson-Raybould and Jane Philpott. Parents oversharing on social media. APRIL 2, 2019 Telecom complaints. Climate change in Canada. Laura Tribe, executive director of OpenMedia. Josha MacNab, national director of policy and strategy at the Pembina Institute. Download APRIL 2, 2019 Telecom complaints. Climate change in Canada. Richard McCandless, retired senior civil servant who has written extensively about ICBC, and Nicolas Jimenez, president and CEO of ICBC, on changes to the public insurance corporation in effect today. MARCH 29, 2019 Right to bare arms. Gardener Brian Minter. Amy Robichaud, executive director of Dress for Success Vancouver. Brian Minter, owner of Minter Country Garden in Chilliwack. Download MARCH 29, 2019 Right to bare arms. Gardener Brian Minter. MARCH 28, 2019 Medical wait-lists. Night shift. Tracy Johnson, director of health systems, anaylsis, and emerging issues at the Canadian Institute for Health Information, and Terrie Hendrickson, coordinator of the B.C. Health Coalition. Jake Costello, producer of the CBC series "Night Shift," and Christopher McLeod, an associate professor at the University of British Columbia's School of Population and Public Health. Download MARCH 28, 2019 Medical wait-lists. Night shift. MARCH 27, 2019 Money laundering. Nature photography. James Cohen, executive director of Transparency International. Jess Findlay, a nature and wildlife photographer. Download MARCH 27, 2019 Money laundering. Nature photography. MARCH 26, 2019 LNG incentives in B.C. Val Litwin, CEO of the B.C. Chamber of Commerce, Marc Lee, a senior economist at the Canadian Centre for Policy Alternatives, and Les Leyne, a legislative columnist for the Victoria Times Colonist. Download MARCH 26, 2019 LNG incentives in B.C. MARCH 25, 2019 Airbnb regulations. Canadian books. CBC Marketplace host Charlsie Agro and Tony Gioventu, executive director of the Condominium Home Owners Association of B.C., on good and bad Airbnb experiences and 'rogue' Airbnb listings. Mary-Ann Yazedjian, Vancouver bookstore manager, on Canada Reads and great Canadian novels. Download MARCH 25, 2019 Airbnb regulations. Canadian books. MARCH 22, 2019 Ride Hailing. Paying for Music. A new company calling itself Vancouver's first legally compliant ride-hailing app was announced today. Ian Tostenson, the spokesperson for Ridesharing Now BC coalition and Garland Chow transportation economist with UBC's Sauder School of Business and emeritus associate professor, weigh in. Mario Canseco, the president of Research Co and Ed Henderson, the former vice-president of Vancouver Musicians' Association on paying for music. Download MARCH 22, 2019 Ride Hailing. Paying for Music. MARCH 21, 2019 Private vs public auto insurance. Hydraulic Fracturing report. Public versus private auto insurance with Vice-president of the Insurance Bureau of Canada, Aaron Sutherland and retired senior B.C. civil servant, who has written extensively about ICBC at bcpolicyperspectives.com, Richard McCandless. Hydraulic fracturing report with CBC reporter Betsy Trumpener, Research Scientist at Geological Survey of Canada, Honn Kao and Senior science and policy advisor with the David Suzuki Foundation, John Werring. Download MARCH 21, 2019 Private vs public auto insurance. Hydraulic Fracturing report. A recent B-C Supreme Court case clarifies what constitutes distracted driving. Vice President of Parachute Canada, Pamela Fuselli and criminal lawyer, Kyla Lee, weigh in. MARCH 19, 2019 Look ahead to housing in the budget. Gender wage gap. Tom Davidoff, an associate professor and director of the University of British Columbia's Centre for Urban Economics and Real Estate. Paulette Senior, CEO of the Canadian Women's Foundation, and Fatima Cader, a lawyer based in Toronto. Download MARCH 19, 2019 Look ahead to housing in the budget. Gender wage gap. MARCH 18, 2019 Transmountain. Spring Break. Hamish Telford on British Columbia's Court of Appeal arguments in the battle for jurisdictional power in the Trans Mountain pipeline expansion project. A five-day hearing is now underway. And Quincey Kirschner on safe spring break for the kids. Download MARCH 18, 2019 Transmountain. Spring Break. MARCH 15, 2019 Islamophobia. Brian Minter. Hasan Alam with the Islamophobia Legal Assistance Hotline on how we should we tackle Islamophobia and hate crimes. At least 49 people were killed in the shootings at two mosques in New Zealand. Brian Minster on the importance of pollinators. Download MARCH 15, 2019 Islamophobia. Brian Minter. MARCH 14, 2019 Electric vehicles. Long-distance relationships. Matthew Klippenstein, an electric vehicle industry analyst and EV advisor for Plug In B.C. Dr. Cheryl Fraser, registered psychologist, relationship expert, and author of Buddha's Bedroom: The Mindful Loving Path to Sexual Passion and Lifelong Intimacy. Download MARCH 14, 2019 Electric vehicles. Long-distance relationships. MARCH 13, 2019 Boeing 737 Max grounded. Post-secondary school admissions. David Gillen, professor and Director of the Centre for Transportation Studies at the University of British Columbia's Sauder School of Business. Molly McCracken, admissions editor with Kira Talent, a company that works with post-secondary admissions to create a fraud-free admissions process. Download MARCH 13, 2019 Boeing 737 Max grounded. Post-secondary school admissions. MARCH 12, 2019 Cellphones in classrooms. Dental costs. Ian Landy, the principal of Edgehill Elementary in Powell River who blogs about technology in schools. Dr. Harpreet Singh Dhillon, a dentist at Strive Dental in Surrey, Jocelyn Johnston, executive director of the B.C. Dental Association, and Dr. Mario Brondani, president of the Canadian Association of Public Health Dentistry, and associate professor of Dentistry and director of the Dental Public Health graduate program at the University of British Columbia. Download MARCH 12, 2019 Cellphones in classrooms. Dental costs. MAR. 7, 2019 SNC-Lavalin's history. Online hoaxes. Giuseppe Valiante, a Canadian Press reporter in Montreal. Jesse Miller, a social media awareness and online safety speaker, and the founder of Mediated Reality. Download MAR. 7, 2019 SNC-Lavalin's history. Online hoaxes. MARCH 6, 2019 Gerald Butts's testimony. Sanjay Jeram, a senior lecturer in political science at Simon Fraser University, and Lisa Young, a professor of political science at the University of Calgary. Download MARCH 6, 2019 Gerald Butts's testimony. MARCH 5, 2019. SNC-Lavalin and the state of Canadian democracy. Stroke awareness and prevention. Duff Conacher, co-founder of Democracy Watch, on the SNC-Lavalin saga and the impact on Canadian democracy and leadership. Dr. Phil Teal, spokesperson for the Heart and Stroke Foundation BC-Yukon chapter and director of the stroke program at Vancouver General Hospital, on stroke awareness and prevention. Download MARCH 5, 2019. SNC-Lavalin and the state of Canadian democracy. Stroke awareness and prevention. MARCH 4, 2019. Chinese-Canadian foreign relations. Public funding for private schools. Michael Byers, Canada Research Chair in Global Politics and International Law at the University of British Columbia, on Canadian-Chinese foreign relations. Elba Bendo, director of law reform at West Coast LEAF, Patti Bacchus, former chair of the Vancouver School Board, and Shawn Chisholm, executive director of the Federation of Independent Schools Association. Download MARCH 4, 2019. Chinese-Canadian foreign relations. Public funding for private schools. MARCH 1, 2019. Renting in British Columbia. Master gardener Brian Minter. Architect Michael Gellar and Brandon Yan, former Vancouver city planning commissioner, on renting in B.C. Master gardener Brian Minter. Download MARCH 1, 2019. Renting in British Columbia. Master gardener Brian Minter. FEB. 28, 2019 More fallout from Jody Wilson-Raybould's testimony. Ken Hardie, Liberal MP for Fleetwood-Port Kells, Nathan Cullen, NDP MP for Skeena-Bulkley Valley who also sits on the House of Commons justice committee, Bob Zimmer, Conservative MP for Prince George-Peace River-Northern Rockies, and David Cochrane, senior CBC parliamentary reporter in Ottawa. Download FEB. 28, 2019 More fallout from Jody Wilson-Raybould's testimony. FEB. 26, 2019 Byelection results. Keeping clothing out of the landfill. Stewart Prest, a professor of political science at Simon Fraser University, and Shachi Kurl, executive director of the Angus Reid Institute. Karen Storry, a senior project engineer for Metro Vancouver, and Amelia Eleiter, co-founder and director of Debrand Services. Download FEB. 26, 2019 Byelection results. Keeping clothing out of the landfill. FEB. 25, 2019. Agricultural Land Reserve regulations. RRSP's and financial planning. Minister of Agriculture Lana Popham and David Connell, associate professor at the University of Northern British Columbia, on regulation changes to ALR land use. Jean Freed, financial advisor and consultant, on registered retirement savings plans. Download FEB. 25, 2019. Agricultural Land Reserve regulations. RRSP's and financial planning. FEB. 22, 2019 NEB's Trans Mountain decision. Oscar movies. Joe Spears, a marine safety expert and managing director of the Horseshoe Bay Marine Group, and Paul Paquet, adjunct professor of geography at the University of Victoria and a senior scientist at the Raincoast Conservation Foundation. Lisa Christiansen, a big fan of awards shows and the CBC's TV on the Radio columnist. Download FEB. 22, 2019 NEB's Trans Mountain decision. Oscar movies. FEB. 21, 2019 Measles outbreak. Student loan debt. Dr. Reka Gustafson, medical health officer at Vancouver Coastal Health, on measles vaccinations. Isaiah Chan, director of counselling at Credit Counselling Society of BC, on student loan debt relief. Download FEB. 21, 2019 Measles outbreak. Student loan debt. FEB. 20, 2019 B.C. budget reaction. Search and rescue funding. Michael Prince, a political scientist and Lansdowne Professor of Social Policy at the University of Victoria. Peter Haig, a team leader for North Shore Rescue, and Jim McAllister, director of B.C. Search and Rescue Association. Download FEB. 20, 2019 B.C. budget reaction. Search and rescue funding. FEB. 19, 2019 Avalanche safety in the backcountry. Parenting stress and anxiety..
Sandra Riches, executive director of BC AdventureSmart, and Dave Jephson, a search manager for Terrace Search and Rescue. Ann Douglas, author of Happy Parents Happy Kids. Download FEB. 19, 2019 Avalanche safety in the backcountry. Parenting stress and anxiety..
FEB. 15, 2019 Measles vaccination. Gardener Brian Minter. Katie Clunn, started the "Mandatory Vaccines in BC (with medical exemptions)" petition on change.org, and Dr. Monika Naus, medical director of the communicable diseases and immunization service at the B.C. Centre for Disease Control and associate professor at UBC's School of Population and Public Health. Master Gardener Brian Minter, owner of Minter Gardens in Chilliwack. Download FEB. 15, 2019 Measles vaccination. Gardener Brian Minter. FEB. 14, 2019 Independent power producers. Valentine's Day. David Austin, an energy lawyer at Stirling in Vancouver, and Marvin Shaffer, an adjunct professor at Simon Fraser University's School of Public Policy and a consulting economist. Nicole Haley, a relationship coach in Vancouver, and Yuthika Girme, an assistant professor at Simon Fraser University's psychology department. Download FEB. 14, 2019 Independent power producers. Valentine's Day. FEB. 13, 2019 Throne Speech reaction. Rural-urban divide. Anita Huberman, CEO of the Surrey Board of Trade, and Iglika Ivanova, senior economist and public interest researcher with the Canadian Centre for Policy Alternatives in B.C. Andrew Kurjata, a CBC producer based in Prince George, who wrote a column for CBC.ca titled "Dear Rest of Canada: There is more to BC than Vancouver, and yes, we know what snow is," and Ken Coates, Canada Research Chair in Regional Innovation at the University of Saskatchewan. Download FEB. 13, 2019 Throne Speech reaction. Rural-urban divide. FEB. 12, 2019 Jody Wilson-Raybould's resignation. Snow driving. Mary Ellen Turpel-Lafond, a former B.C. Representative for Children and Youth, and a professor at the University of British Columbia's Peter A. Allard School of Law, and David Moscrop, a post-doctoral fellow at the University of Ottawa. Sam Tremblay, the owner of Tremblay Motors, and Dave Hay, an instructor at Young Drivers of Canada and a former constable for RCMP Traffic Services for 28 years. Download FEB. 12, 2019 Jody Wilson-Raybould's resignation. Snow driving. Feb. 11, 2019 Snow, snow, snow. Money laundering. 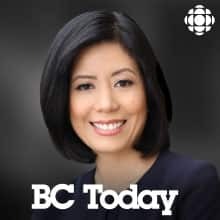 CBC Senior Meteorologist Johanna Wagstaffe, TransLink spokesperson Chris Bryan and former Vancouver School Board Chair Patti Bacchus on weather, transportation and school closures. Financial crime lawyer Christine Duhaime and Simon Tremblay, former assistant-chief deputy of the Charbonneau Commission on money laundering. Download Feb. 11, 2019 Snow, snow, snow. Money laundering. FEB. 8, 2019 ICBC finances. Music discoveries. Werner Antweiler, a professor of economics at the University of British Columbia's Sauder School of Business. Grant Lawrence, CBC Music host and producer of Searchlight. Download FEB. 8, 2019 ICBC finances. Music discoveries. FEB. 7, 2019 SNC-Lavalin. Overdose numbers. Comfort food. Steven Chase, a Parliamentary reporter at the Globe and Mail. Lisa Lapointe, B.C. 's chief coroner, and Bonnie Henry, B.C. 's provincial health officer. Claire Tansey, author of Uncomplicated: Taking the Stress out of Home Cooking. Download FEB. 7, 2019 SNC-Lavalin. Overdose numbers. Comfort food. FEB. 6, 2019 BC Hydro management. Vaping. Richard McCandless, a retired senior B.C. civil servant who has written extensively about BC Hydro at bcpolicyperspectives.com. Rob Cunningham, a senior policy analyst at the Canadian Cancer Society, Jennifer Callaghan, Director of Health promotion and tobacco intervention at the B.C. Lung Association, and Art Steinmann, manager of substance use and health promotion at the Vancouver School Board. Download FEB. 6, 2019 BC Hydro management. Vaping. FEB. 5, 2019 Train derailment. Cryptocurrency. Lunar New Year food. Download FEB. 5, 2019 Train derailment. Cryptocurrency. Lunar New Year food. FEB. 4, 2019 Cold, windy weather. Cancer care and support. Johanna Wagstaffe, a CBC meteorologist, Kevan Griffith, shelter coordinator for Unitarian Shelter in Nanaimo, and Kurtis Strelau, a director of education at Young Drivers of Canada. Sarah Roth, president and CEO of the B.C. Cancer Foundation, and Dr. Malcolm Moore, president of BC Cancer (formerly B.C. Cancer Agency). Download FEB. 4, 2019 Cold, windy weather. Cancer care and support. FEB. 1, 2019 Family reunification. Gardener Brian Minter. Erin Roth, an immigration lawyer at Edelmann and Co., and Harmeet Singh, a permanent resident in Burnaby who tried to sponsor his parents to come to Canada. Master Gardener Brian Minter, the owner of Minter Country Garden in Chilliwack. Download FEB. 1, 2019 Family reunification. Gardener Brian Minter. JAN. 31, 2019 PBO on Trans Mountain. Nanaimo byelection results. Yves Giroux, the Parliamentary Budget Officer of Canada, Eugene Kung, a staff lawyer at West Coast Environmental Law, and Richard Masson. an executive fellow at the University of Calgary's School of Public Policy. Alex Netherton, professor of political studies at Vancouver Island University, and Adam Olsen, the Green MLA for Saanich North and the Islands. Download JAN. 31, 2019 PBO on Trans Mountain. Nanaimo byelection results. JAN. 30, 2019 First responders' mental health. Children and nature. Ralph Kaisers, a member of the BC First Responders' Mental Health Committee and vice-president of the B.C. Police Association. Mariana Brussoni, an associate professor at the University of British Columbia and the B.C. Children's Hospital Research Institute. Download JAN. 30, 2019 First responders' mental health. Children and nature. Tanya Fletcher, CBC B.C. 's legislative reporter, Alexander Netherton, a professor of political studies at Vancouver Island University, Kim Smythe, CEO of the Greater Nanaimo Chamber of Commerce, and Stephen Portman, advocacy lead at Together Against Poverty Society in Victoria (but from Nanaimo). JAN. 28, 2019 John McCallum fired. Cycling safety. Joanna Chiu, deputy bureau chief at Star Vancouver and Charles Burton, professor of Canada-China relations at Brock University and former Canadian diplomat to China on the firing of John McCallum, Canada's ambassador to China. Kay Teschke, professor emeritus, UBC School of Population and Public Health, on cycling safety and bike lanes. Download JAN. 28, 2019 John McCallum fired. Cycling safety. Isobel Mackenzie, B.C. 's Seniors Advocate, Wanda Morris, COO of CARP, a non-partisan advocacy group for the rights of older Canadians, and Linda Annis, executive director of Metro Vancouver Crime Stoppers. JAN. 24, 2019 Spending at the B.C. Legislature. Targeting sexual predators. Carol Bellringer, B.C. 's auditor general, Dirk Meissner, a reporter with the Canadian Press, and Sara Neuert, executive director, B.C. Freedom of Information and Privacy Association. Christopher Schneider, associate professor of sociology at Brandon University and author of Policing and Social Media: Social Control in an Era of New Media, and Susan Davis, a member of the B.C. Coalition of Experiential Communities. Download JAN. 24, 2019 Spending at the B.C. Legislature. Targeting sexual predators. JAN. 23, 2019 Alleged sexual predators. Meng Wanzhou extradition. Beans and pulses. Tina Lovgreen, a CBC reporter. Yves Tiberghien, a professor of political science at the University of British Columbia and distinguished fellow at the Asia Pacific Foundation of Canada, and Seth Weinstein, an extradition lawyer in Toronto. Anita Stewart, cookbook author, founder of Food Day Canada, advocate for Canadian cuisine, and Food Laureate of the Ontario Agricultural College at the University of Guelph. Download JAN. 23, 2019 Alleged sexual predators. Meng Wanzhou extradition. Beans and pulses. Dermod Travis, executive director of Integrity BC, and Hamish Telford, an associate professor of political science at the University of the Fraser Valley. JAN. 21, 2019 BC legislature investigation. National Non-Smoking Week. University of Victoria political science professor Michael Prince with the latest on the B.C. legislature investigation and Speaker of the House Darryl Plecas' report to the Legislative Management Committee meeting. Jenny Byford, advocacy lead, cancer control, at the Canadian Cancer Society B.C./Yukon and Suzanne Gaby, cessation service lead for QuitNow, BC Lung Association, on quitting smoking. Download JAN. 21, 2019 BC legislature investigation. National Non-Smoking Week.